In the medical field, waste management is very important not only for you and your patient, but for other people and the environment. As a caregiver, you should know what goes where. Why not just consider everything standard waste and throw it in a regular trash bin? What's the big deal? Even though doing so may not affect you or your patient, it could very easily affect many others. Think about this, do you really know where all of your trash goes? You may think you do, but trash is disposed of in different ways: dumps, landfills, the ocean, recycled, some of it is also incinerated. Every location disposes trash in different ways. If this isn't bad enough, think about all the different people who have to handle the waste after it leaves your house or facility. Sometimes bags easily tear or leak, especially the thin bags most people use for standard waste and some places will even go through it to look for recyclables even if it isn't in a recycle bin. The point I am trying to make is people don't always use the best precautions when it comes to waste management. As a caregiver, you need to make sure the wrong waste doesn't get into the wrong hands for the sake of their health, people around them, as well as the environment. 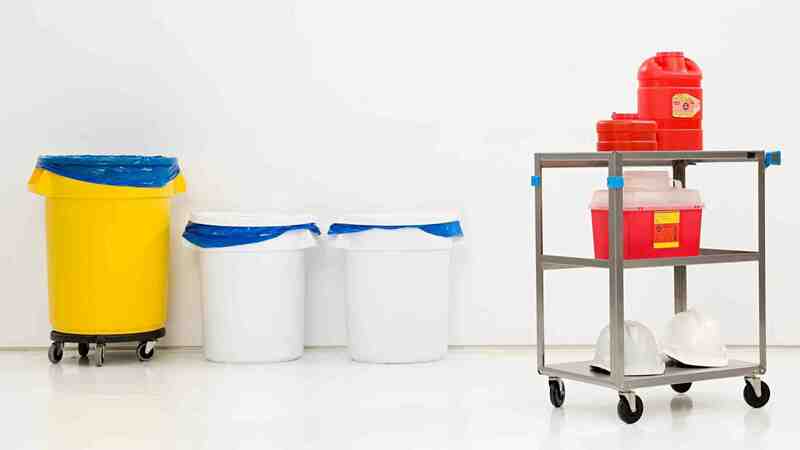 For caregivers at home, waste management may be more difficult, but hospitals and similar facilities are very good at providing the right bin for the right kind of waste. Are all of these different kinds of waste bins making your head spin? Fear not, just click on the links to see what goes where. Do not stress yourself out over these things. Before too long, you will automatically know where things go. A lot of things will even seem like common sense to you right away. 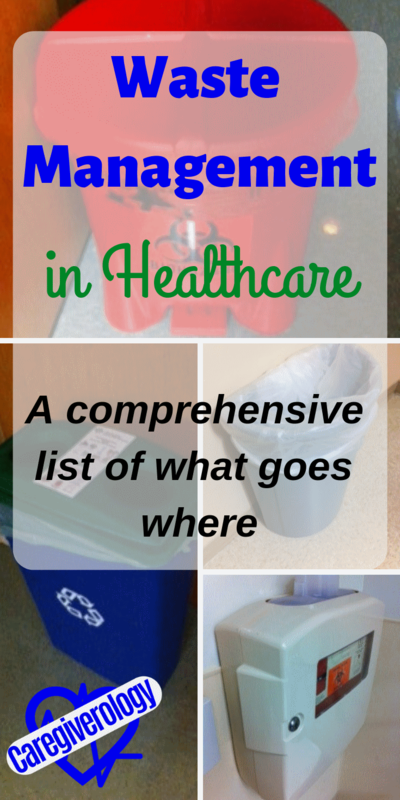 Something many people take lightly are things like putting standard waste in a medical waste bin or recycle bin. While doing this isn't necessarily a health or environment hazard, it still causes extra work for people. Managing medical waste is quite a bit more expensive than standard waste and recycle bins have to be sorted through. Don't be the cause of unneeded work. One of the most important parts of waste management but also one of the most ignored is not letting waste overflow. If a bag is full, change it. If a container is full, switch it out. Yes, this is common sense, but many people ignore this step until somebody else does it. Yes, I'm preaching to myself as well. The best solution is to take care of it yourself before it gets out of hand. If you work in a hospital or similar facility and don't have bags and containers readily available, contact whoever you need to to get it changed out. If trash is continuously overflowing and affecting your job in the process, you need to talk to your supervisor about improving your unit's waste management. What is Considered Standard Waste? Why make a list of standard waste? It's basic stuff right? It may be to some people, but there are a lot of things caregivers use that may be subjective as how to dispose of it. If you are in an unfamiliar area, how do you know what the bin looks like? It will most likely be unmarked since most people already know what they look like and have a clear or white bag in them. 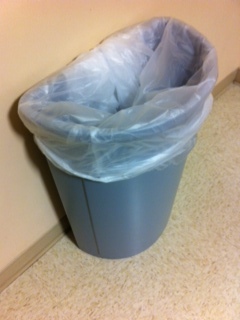 Any other type of bin with an unrecognizable symbol may be for some other type of waste. When in doubt, ask. List of Items Can you Recycle it? Here is a list of items that go into a standard waste bin when you are ready to dispose of it. This list is the same at home, in a nursing home, as well as a hospital. Some are a given while others, not so much. If there is a recycle bin that will accept any of these products, by all means, it is better to recycle them rather than waste them. Just make sure you put them in the right bin because some recycle bins only accept specific items. There are too many things to list that are considered standard waste but some of the things not listed, you probably already know. If you do not see the item you are looking for, look further on this page to see if the item belongs somewhere else. Medical waste is a special kind of waste that should be dealt with and disposed of carefully. Not doing so could be hazardous to others as well as the environment. Other terms that mean the same thing are clinical waste, hazardous waste, biomedical waste, and biohazard waste. What separates this kind of waste from standard waste? Items that could infect others who come into contact with it are considered medical. Disposing of these things separately greatly reduces the chance of someone else becoming ill.
How do you know if a bin is for medical waste? It will always be red with a red bag inside. Most of them will also have a biohazard symbol with the word biohazard written on it. It really stands out as it should. Just like standard trash bins, they come in all different sizes. Hopefully, the bin will have a lid. At the facility where I work, they actually have a lid that opens with a foot pedal. I love those types of bins because your hands don't have to go anywhere near what's inside. If you see one with the lid on, or even if it's just not sealed all of the way, close it until it is fully sealed. Many of these items are not normally used in the home setting but are common in hospitals and similar facilities. You may never come into contact with some of these items, but if you do, you'll know where to put them. If the bag gets full and you have to change it out, make sure you tie the full bag properly. Bunny ears are not acceptable. That is when you grab the bag in two different spots and tie it in a knot which form two ends that look like ears coming out of the bag. I've been told that if waste management sees a medical waste bag tied like this, they are required to hang it upside down for five minutes. If any fluid drips out within those five minutes, the hospital's sanitation score gets penalized. Sounds harsh? Not if you're trying to prevent infection. So how should you tie it? Grip the open end of the bag and twist it around multiple times. Then form a loop and put the end of the bag through the loop. Pull both sides of the loop tightly to seal the knot shut. If done correctly, you could hold the bag upside down for hours and not see a drop of fluid. Are You Using the Right Bin? 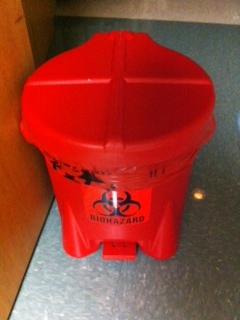 Some medical waste actually goes in a sharps container. If the item is able to easily puncture skin, then it is considered sharps waste. Never put an item that could easily poke through the bag or it could cause a major accident in the near future. Do not put any of these items in a recycle bin even if they are recyclable. Anything that has blood or bodily fluids on it does not need to be reused under any circumstances. Sharps waste is actually a form of medical waste but should be handled and disposed of even more carefully. The difference? This form of waste is for items that can easily puncture or cut skin. Sharps are disposed of differently than other types of waste. Their final destination is an autoclave which sterilizes them so they can be disposed of safely. They can also be incinerated but this is not common practice anymore. Many large facilities have their own autoclave but smaller ones have professionals cautiously pick up and dispose of the waste. Depending on where you work you may not use many of these things aside from a finger sticker for checking a patient's blood glucose. However, some places use many of these items. If you don't know what some of these things are, you probably shouldn't be using them. The best thing to do as soon as you are done with any of these items is to immediately throw them into the nearest sharps container. The longer you wait, the bigger the chance of you or somebody else getting a needlestick injury or cut. The container is usually made of hard plastic that's difficult to puncture, otherwise it would defeat the whole purpose of having one. They are usually red and have a biohazard symbol and come in many shapes and sizes, but are typically smaller than a standard waste bin. The opening is usually very small for safety reasons. 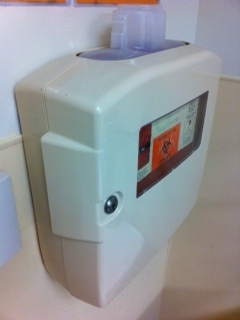 The kinds at my facility actually hang on the wall in every patient's room so it is even easier to put sharps in them. The easier they are to reach, the better since an accident can happen so quickly and easily. Even if these items haven't been used but need to be disposed of, you should still consider them sharps waste. If you throw them in any other waste bin, it could poke through the bag and accidentally puncture skin. What do you do if you or somebody else gets injured from a used sharps object? Seek immediate medical attention. Don't just clean it off and forget about it. The infection could already be in your bloodstream. If you don't treat it as an emergency, you could very easily contract a disease like millions of others do per year from accidental needlesticks. Yes, millions. There's a reason why proper disposal of sharps waste is so important. What Goes in a Recycle Bin? Recycle bins are becoming more and more common as the years go by and for good reason. Everyone, including myself, should be recycling more waste now more than ever. I admit that I don't as much as I should but I am trying to do better and you should too. They come in all different shapes and sizes but their colors are usually green and/or blue. You can identify the bins by their universal symbol which is three arrows that form a triangle. Why should you recycle? You probably already know the simple answer but there are many benefits that you may not think of. Of course it reduces the amount of raw materials we have to consume, but it also reduces the amount of energy we have to use, reduces air and water pollution because we don't have to dispose of as many items, and it also reduces radiation caused by greenhouse gases. You may be thinking, "I'm not an environmentalist, what does all of this mean exactly?" Basically it means recycling is a good thing no matter what anybody else may say about it. Why Aren't More People Doing It? That being said, it can be a bit of a hassle at times. Different bins take different items and while some can mix and match, a lot of them only take one type of material such as only cans or only paper. This causes confusion and can take up more space because different bins are needed. Some people are even charged if they want their recyclables to be picked up. These things result in people not even bothering with the matter but as the years go by, it is becoming more and more important. The environment is in the worst shape it has ever been but with our help, we can slowly but surely turn things around. 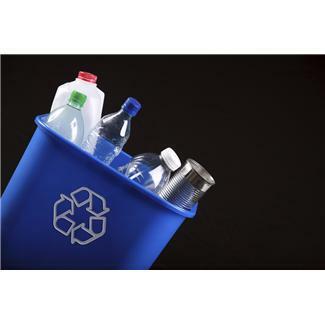 Here is a list of common items that are recyclable. Before you put any of these items in a recycle bin, make sure that particular bin accepts them. It will either tell you through words or symbols what goes where. At the facility where I work, there are bins specifically for recycling many items we use constantly. 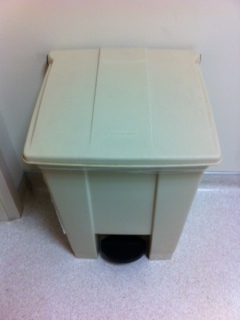 If you work in a hospital, make sure you use these bins because not only is it better for the environment, it also saves your hospital lots of money. The bins will be labeled so you know what goes where. You may be rolling your eyes at this article but a little effort goes a long way. Spread the word and try to get as many people as you can to start putting their waste into good use by using recycle bins. They're everywhere for a reason. Pharmaceutical waste can be a confusing subject. These lists should just be taken as a general guide. If you are unsure about a particular medication, bring it to your local pharmacy and they should know exactly how to dispose of it properly. 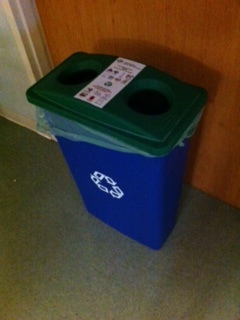 All prescription waste without a code goes to a blue container located at a pharmacy. Any waste with the potential to leak must be placed in a ziploc bag. It is not permitted by the Department of Transportation (DOT) to transport free fluids. 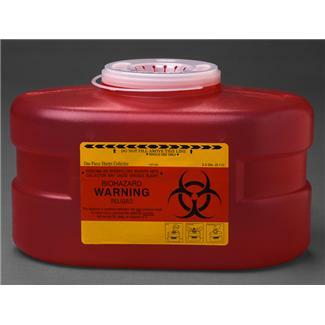 Only trace chemotherapy is discarded in yellow containers. Bulk chemotherapy is discarded in black containers.